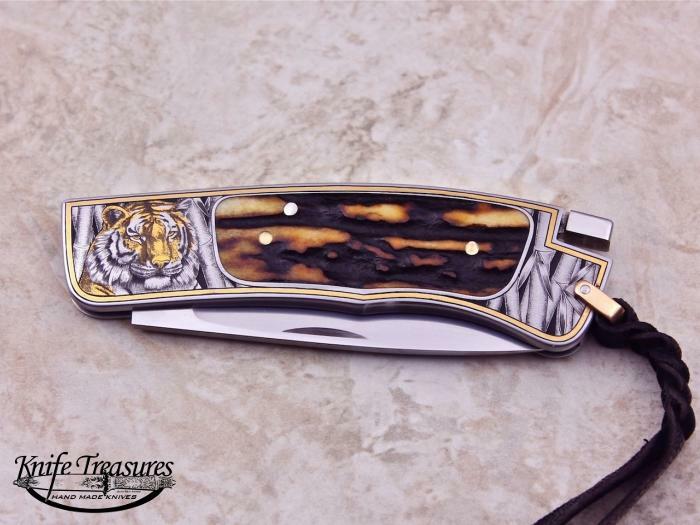 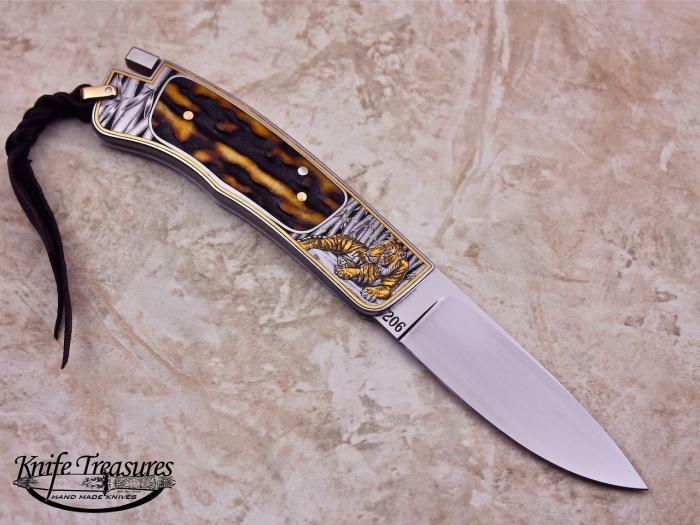 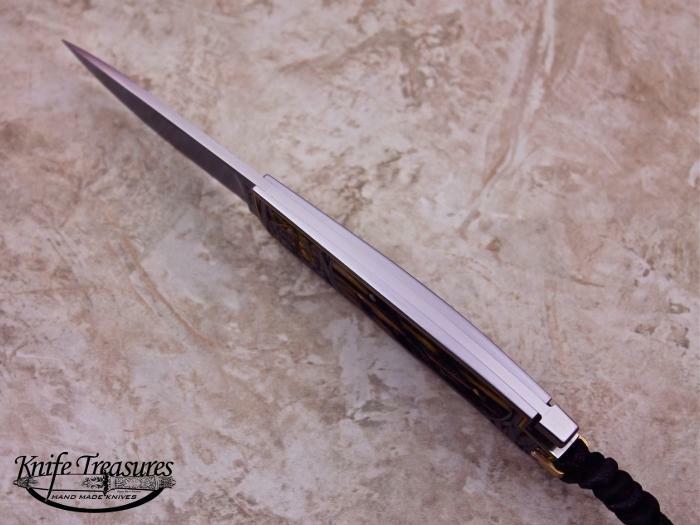 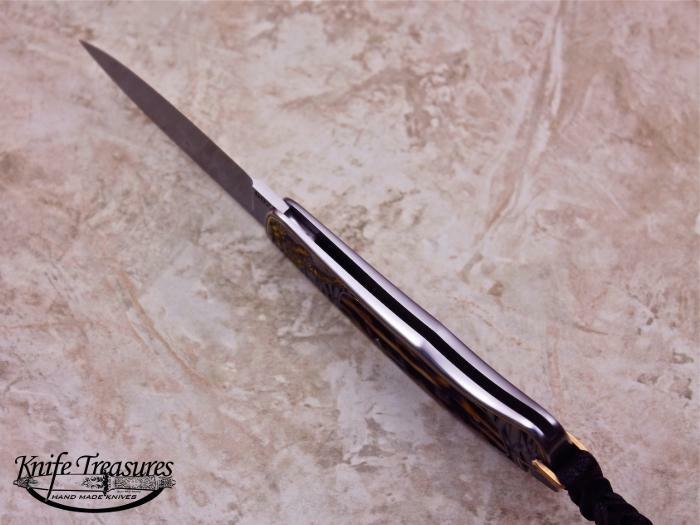 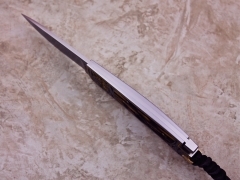 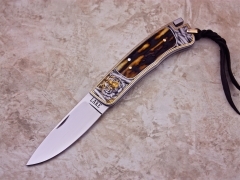 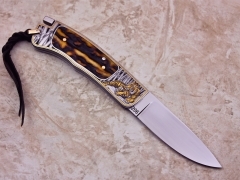 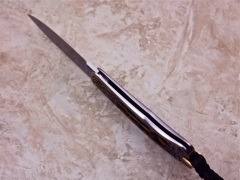 An incredible "Orion Tail Lock" model by Ron Lake that has been beautifully engraved by Ray Cover Jr. 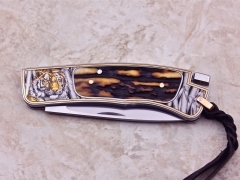 This gorgeous piece has perfectly matched Stag, Gold and screws. 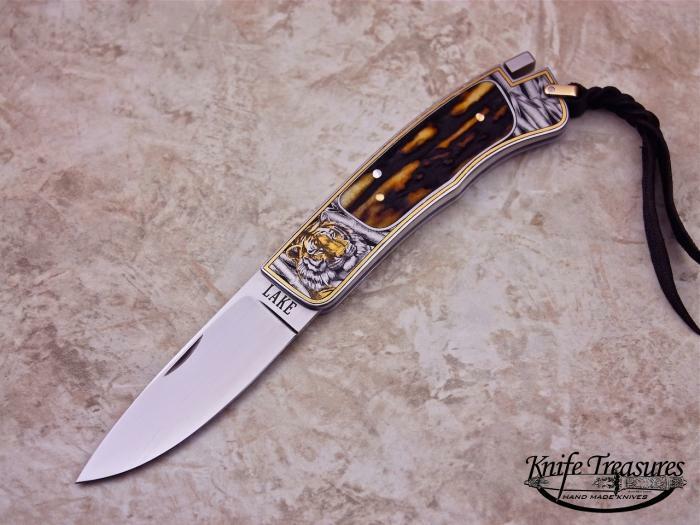 A great collaboration between 2 Masters in their field.